See the full trip gallery. 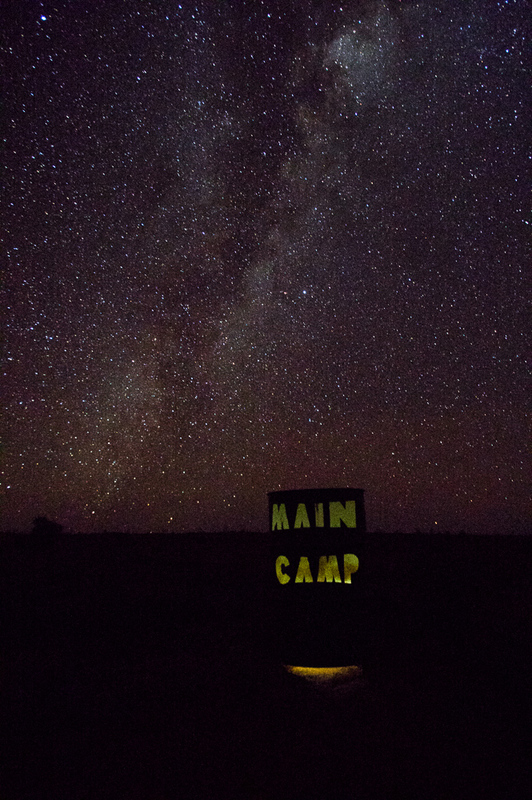 Winter trips to the Simpson Desert are generally pretty pleasant. The clear, cold nights are perfect for star-gazing or sitting around the camp fire with a mug of mulled wine or hot milo, and the days are a good temperature for working. On this trip, work setting up the infrastructure of a new experimental project was in full swing, so on top of trapping and helping out with Steph’s PhD project we had a busy time. 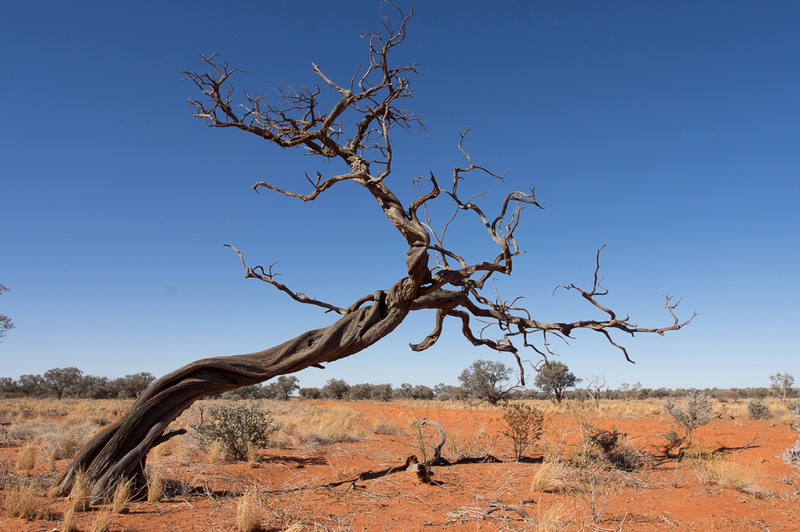 The desert around Ethabuka hasn’t changed much recently – still dry and definitely in a ‘bust’ phase. Rain over summer was scant, so grass seed is thin on the ground, meaning little food is available to native rodents and other seed-eating animals. 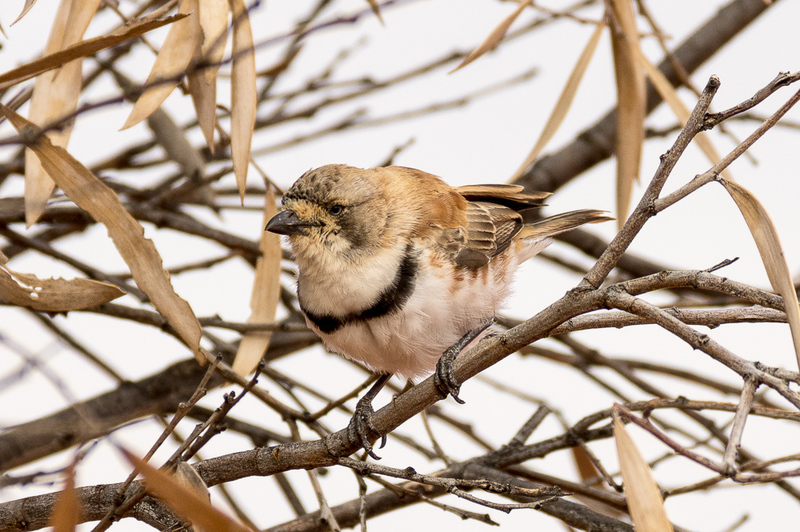 The February-March rain mentioned in previous reports barely fell around Ethabuka, though the northern areas on Craven’s Peak were a bit luckier and we heard reports from the station managers that there has been a subsequent flush of flowering and bird life in these areas. A typical day was fine and cloudless, with a moderate breeze blowing from the south. As the sun dipped towards the horizon (and the camp Willy Wagtail hunted insects from its perch in the gidgee), the temperature dropped rapidly, from the day’s maximum in the low twenties down to the low teens in the evening. By bed-time it was getting pretty chilly, but the coldest temperatures were always just as the sun was about to get up in the morning. 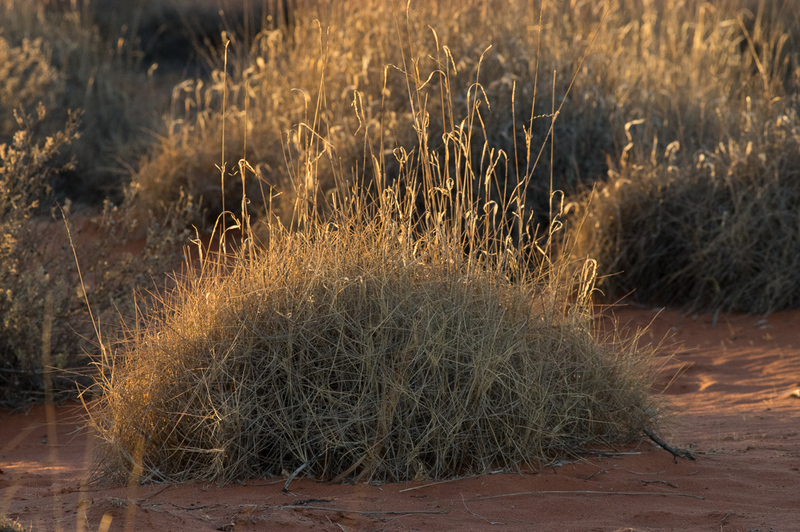 We had ice forming in our water-bottles several times, and the lowest temperature measured was -3° C. The sun coming over the dune was very welcome to us in the mornings as we ate breakfast and drank coffee and listened to the call of the resident singing honeyeater. After settling in at camp, we began the business of trapping. The twelve Main Camp grids consisted of the long term grids as well as some ‘resurrected’ grids that are being used for the ‘tunnel’ project (more on that below). In our first session we opened grids 1, 2, 4, 10, 11 and F, then subsequently we trapped grids D, 3, 5, 7, 8 and 9. Trapping success was – predictably – low. Reptiles aren’t active much in the cool weather and there is a die-off of some species after summer, so we captured just a few skinks and dragons, particularly young individuals. For comparison, the rate of reptile captures we observed was around 5 per 100 trap-nights, substantially smaller than the figure of around 17.5 in November. 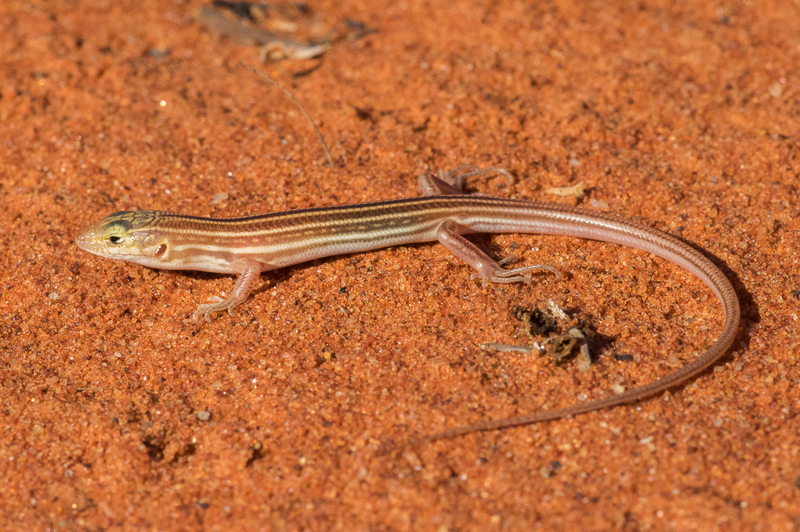 One notable capture was a single Ctenotus piankai – a species very rarely captured over our study site. Small mammal numbers were low too. Their numbers are less affected by season than reptile captures are, though it seems that there is the hint that the mice are coming back somewhat. No Mulgaras this trip unfortunately! Dunnarts are kicking around as usual. One factor that might be helping the populations of the little guys is the apparent scarcity of feral predators. Judging by observations of prints and scats as well as spotlighting runs, cats and foxes seem to be very thin on the ground in the area. 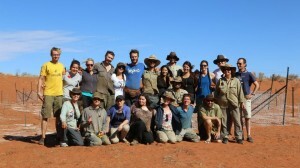 Dingos are around – indeed one individual was heard howling from close to camp one morning. 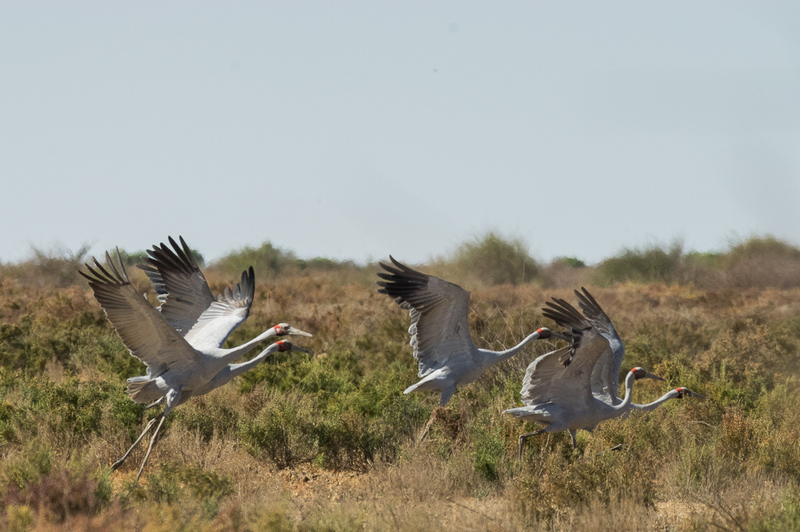 Birds have the advantage over most of the other denizens of the desert of being able to move long distances to locate resource-rich areas. For those of us lucky enough to visit the desert frequently, it was clear that bird numbers were very low on the present trip. This suggests that many birds have dispersed to the areas that have received more rain recently, where there is greater food availability. There were a few nice bird sightings however – a couple of White-Backed Swallows appear to be nesting in the road cutting on the shot line road just south of the Main Camp driveway, so these pretty little birds could be seen coming and going in the mornings and evenings. The odd Wedge-Tailed Eagle was spotted (and a lot more on the trip), plus a few Nankeen Kestrels and the occasional Brown Falcon. A large part of the work on the trip was setting up shelter tunnels. In their completed form, the tunnels are 50 m long chicken-wire corridors, partially covered with sections of shadecloth. Five of these were installed on each of six 1 ha grids. Some tunnels had been constructed on previous trips (save for the shadecloth covers), so we began by finishing this step on all the six required grids. We then cut shadecloth and affixed sections to all of the tunnels. With six grids to complete, this equated to about 1.5 km of tunnel all up! The aim of this installation is to test the effect of providing shelter for small animals. 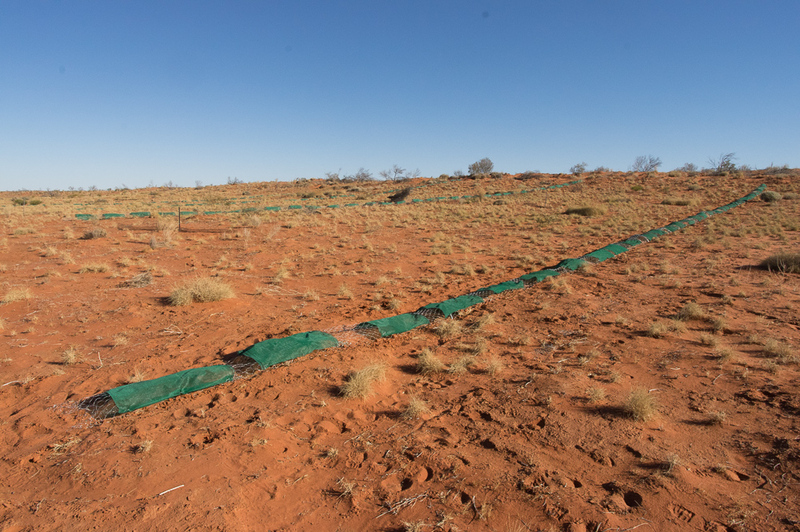 The rationale is that complete cover like this may be a factor limiting populations, particularly in recently burnt areas without mature spinifex cover – areas where the impact of feral predators is likely to be devastating. Cats, foxes and fire are pretty hard to control in remote and extensive areas, so perhaps management could look at modifying habitat to shift the balance instead? One very early sign that holds some promise for the success of the project came while we were adding the final touch in the form of sunflower seeds (food for rodents) to the experimental grids. Though the tunnels were completed only days before, small mammal prints could be seen within several of them already! Continuing on the theme of post-fire cover, we set up and sampled some new traps in the mallee around Way Site. 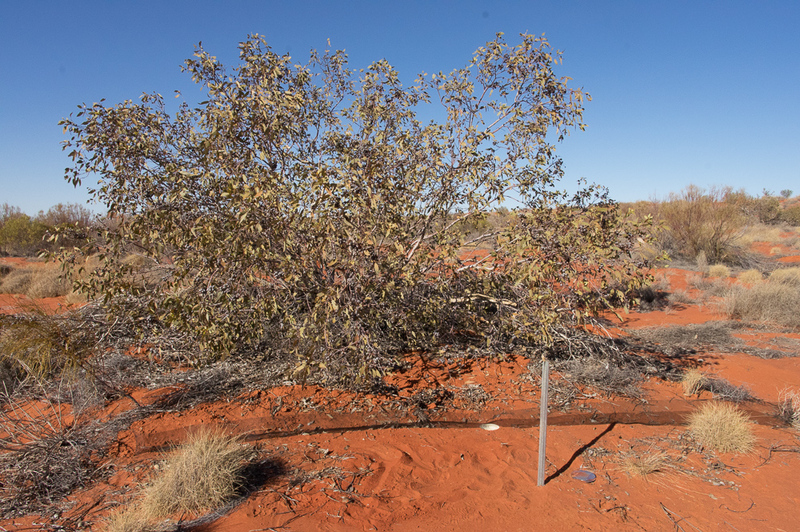 Mallees (multi-stemmed Eucalypts, in this case E. pachyphylla and gamophylla), are fire-resistant thanks to an underground lignotuber, and are therefore one of the first species to come back with dense cover of foliage, young branches and leaf litter after a fire. At each of 12 mallees we installed two traps close to the edge of the ‘canopy’ of the plant, and two control traps that weren’t close to any mallee but were in otherwise similar habitat. We spent a couple of days digging in the 48 traps (especially fun when we had to dig through a few centimetres of carbonate nodules embedded in hardened clay-sand!) then opened them for three nights. Captures were pretty low (no mammals and only a handful of reptiles) but it will be interesting to see what we find in future trapping sessions. Stephanie Yip, one of the DERG PhD students, conducted an experiment looking at the interaction of perceived predation risk and dietary preferences and foraging behaviour. 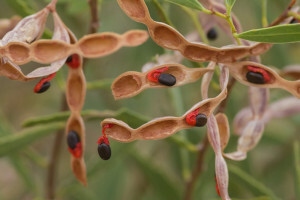 To this end, plates with five species of native seed of varying attractiveness to rodents were placed near Main Camp – in open areas with little shelter or areas with plenty of protective cover. These plates were checked after every night for evidence of seed having been consumed, and were weighed and topped up if required. Stephanie hypothesises that rodents in areas where cover reduces the predation risk will be confident and be able to spend more time at the trays in order to select their more preferred seeds. With our work nearing completion, we were able to find some time to visit Pulchera. Pulchera is a big waterhole on the Mulligan River as it passes through Ethabuka. Back in March, the river flowed, and Pulchera filled up. We had a lazy afternoon on the bank, checking out the waterbirds and taking a dip in the frigid water. The waterhole is still full of water and looking great. 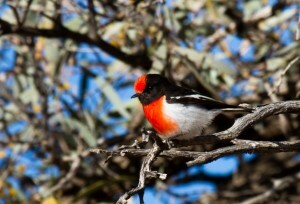 Birds are abundant here though it seems that numbers have decreased a little since April. Cattle from nearby properties are unfortunately exploiting the good conditions around the waterhole.